A beautiful inspirational quote to share with your dear friends and motivate them to climb their mount of success. Your words could make them feel confident and continue their journey towards victory. 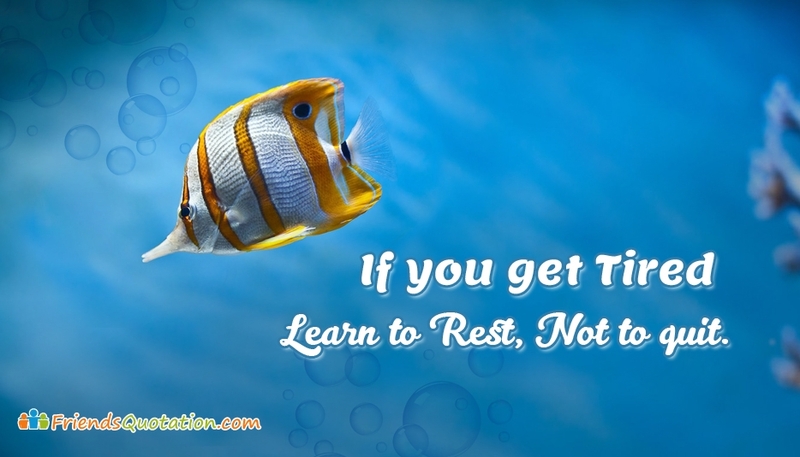 Through this inspiring message "If You Get Tired Learn To Rest, Not To Quit" let your friends know that perseverance is an important quality to be successful.